1) Someone had to design it and was impressed enough by their design to present it to someone in Daimler's management. 2) Someone in Daimler's management was impressed enough by the design to sign off on it and allow production. Sometimes "checks and balances" don't work as they should. 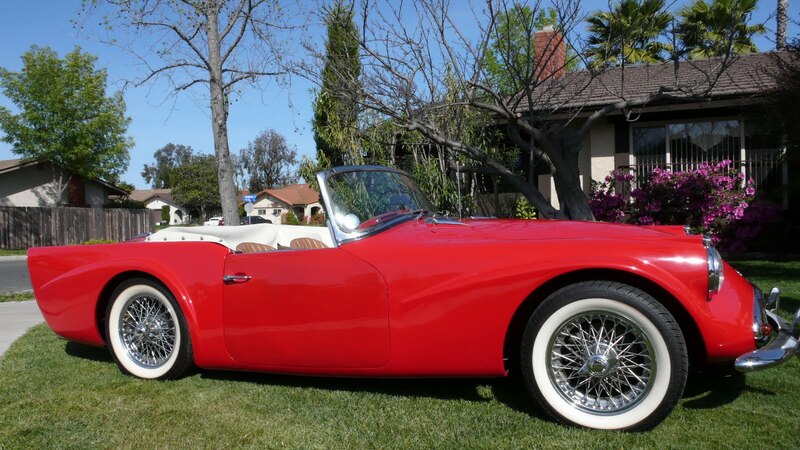 It looks like whoever designed the car took some styling cues from just about every 1950s sports car and put them all on the SP250. Fins, a big chrome grill, high mounted headlights, low nose; you name it, it's there. The SP 250 was Daimler's first and last foray into the sports cars market. It was a mixed bag of good and bad. Besides the body design, another bad point was the chassis. 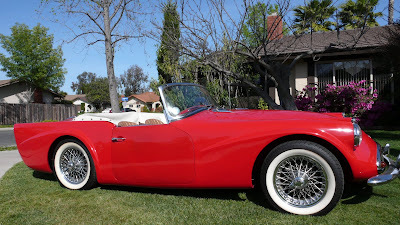 The design was stolen from the Triumph TR3. It was nice design when there was a steel TR3 body sitting on top of it. It was not so nice with the somewhat flimsy fiberglass SP250 body on top of it. Early SP250s flexed so badly that the doors would open during hard cornering. The good, and the big reason to buy an SP250, was the engine. The engine was designed by Edward Turner. 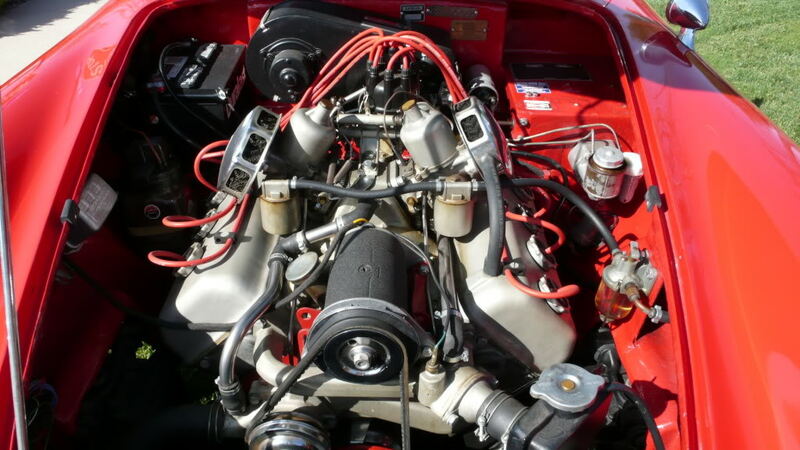 It was a 2547cc, light weight, hemi head V8. It moved the SP250 to 60 MPH in 8.9 seconds and gave it a top speed of 122 MPH. That was pretty impressive back in the early sixties. The transmission was a 4 speed manual, a design that was also "borrowed" from Triumph. A Borg-Warner 3 speed automatic was optional. The interior, again showing TR3 influences, was in the traditional British roadster style. It's tasteful, with lots of useful gauges. 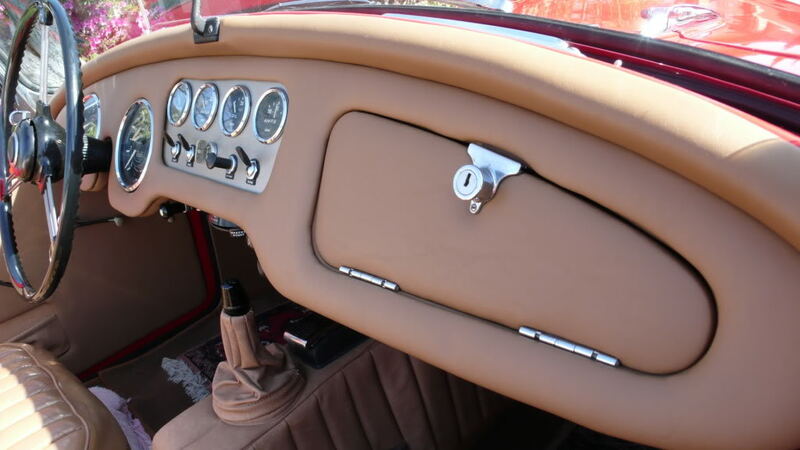 The car being offered on eBay has been restored to a very nice standard. It will draw attention wherever you take it. There are couple more SP250 auctions trailing it on epay. I wonder how they will do? There are quite a few photos of the SP252 prototype floating around the net. As a replacement, it appears the 252 "could have been a contender" for Daimler. I really don't see how it would have overlapped the E-type in any way. If marketed correctly, the 252 could have bitten into the "traditional coachwork" market share held by Bristol, Gordon Keeble et al. I think Jaguar made a mistake throwing in the towel on the project. If one of these feel into my lap, it would take far less than a six pack to convince me to trim off the excess with a Sawzall.